‘The Prophet ﷺ has two great Lakes. 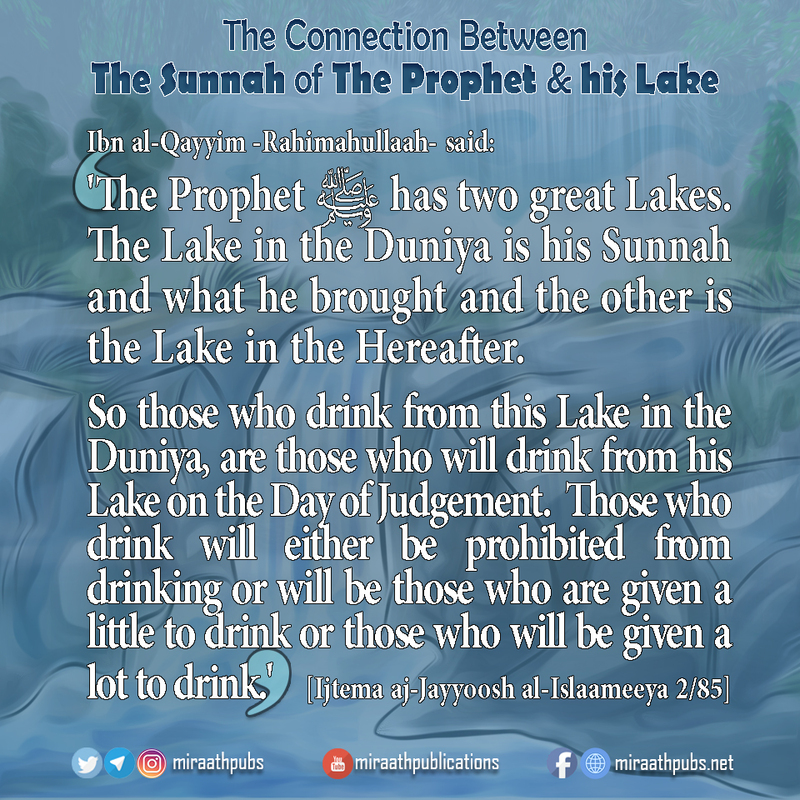 The Lake in the Duniya is his Sunnah and what he brought and the other is the Lake in the Hereafter. So those who drink from this Lake in the Duniya, are those who will drink from his Lake on the Day of Judgement. Those who drink will either be prohibited from drinking or will be those who are given a little to drink or those who will be given a lot to drink. ” فَلَهُ ﷺ حوضان عظيمان، حوض في الدنيا وهو: سُنَّته وما جاء به، وحوض في الآخرة، فالشاربون من هذا الحوض في الدنيا هم الشاربون من حوضه يوم القيامة، فشارب ومحروم، ومستقل ومستكثر “.